Goldberg Brothers carries a variety of essential tools and adapters for your projection booth. Our film clamp sets allow you to move an entire, assembled 35mm print from one platter to another without breaking it down to smaller reels. Each set includes 3 clamps, in either 2 hour or 3.5 hour sizes. 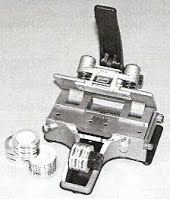 We carry Ciro film splicers in all industry standard film sizes. The model M3 offers several features and functions that make it a standout among guillotine-type film splicers. We also carry film splicing tape, frame marking tape and cue sensing tape to use with your splicer. Our lockable film storage cabinet has three separate bins that will accommodate up to six 35mm reels or three 70mm reels. It features a 27-inch flange and will fit conveniently under most film make-up tables and work benches. 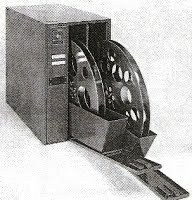 Also known as film reel drive dogs, reel dogs can be used with most rewinders and make-up tables with standard 1/2-inch or 5/15-inch spindles. The body is made from solid aluminum and all other parts are steel. 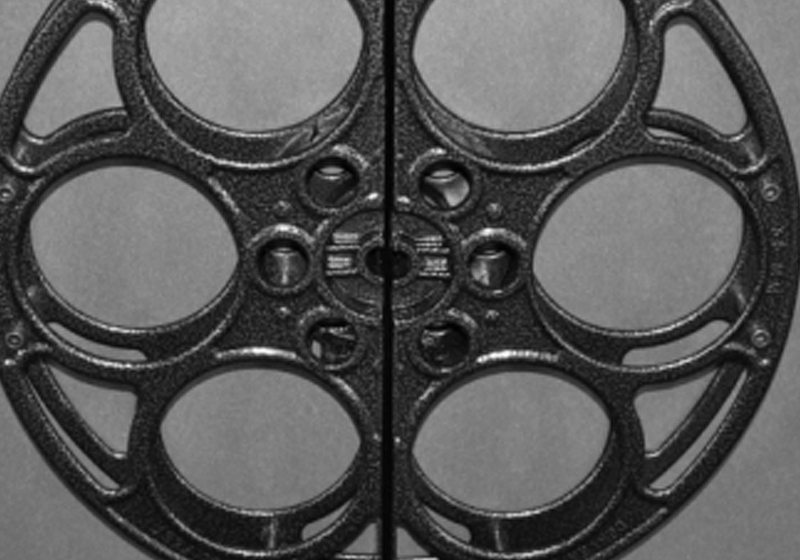 The included Allen key allows you to adjust the pins to accommodate most film reels. Our powder-coated steel film guidance rollers can be mounted on a wall or ceiling to help keep your film path out of harm’s way. Quality construction and design allows you to lock the unit in place in a variety of positions. 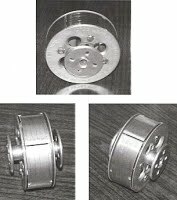 Stainless steel ball bearings insure reliable, quiet operation. 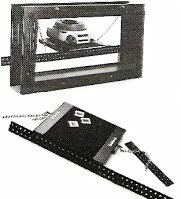 This shelf adapter kit can be mounted to most 12-to-40-inch wide port windows. A non-skid rubber map helps keep the projector from shifting and link chains allow you to adjust the projection angle. A must-have accessory available in industry standard sizes.